Neighbors, or with the folks you work with? Or maybe a sleigh ride in the snowy season? 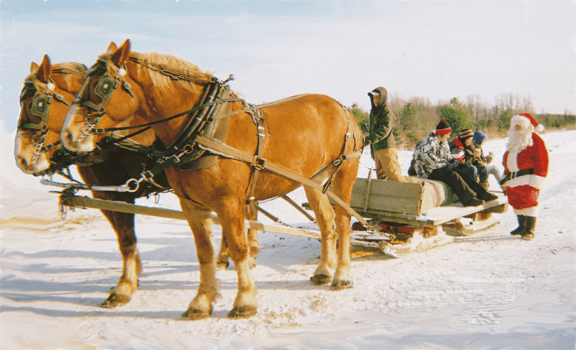 An authentic, horse-drawn sleigh ride or hay wagon ride with loved ones, family, friends, associates, work mates, or? 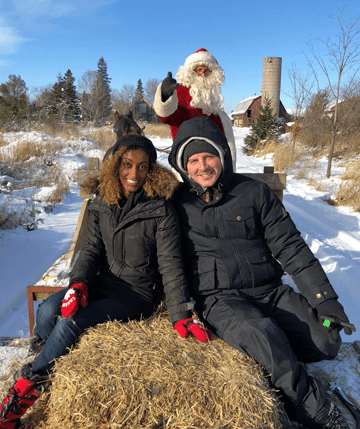 The smells of leather and straw; the sounds of horses hoofs crunching or the sleigh runners squeaking on the snow (only in the wintertime, or course), and that special someone sitting close to you… what could possibly be more romantic than that? 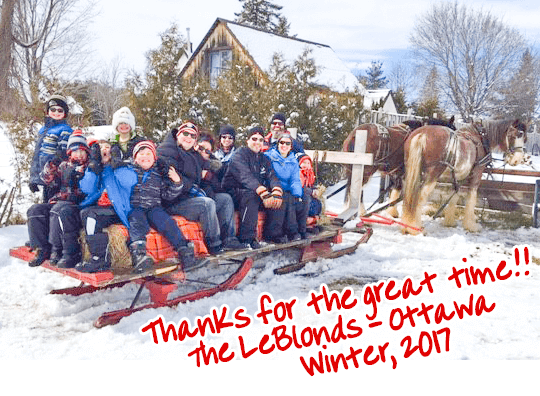 “Last year we organized a sleigh ride and potluck dinner at Fallowfield Tree Farm and it was such a success, we decided to do it again this year. We had 30 people on the sleigh rides last night, and once again, we all had a wonderful time. Thank you so much. Please tell Kennie the slides were a huge hit with the kids. They didn’t want to come in for dinner or leave at the end of the night. The farm is chock full of winding trails and interesting countryside to capture your attention and imagination… so there will never be a dull moment during your ride. 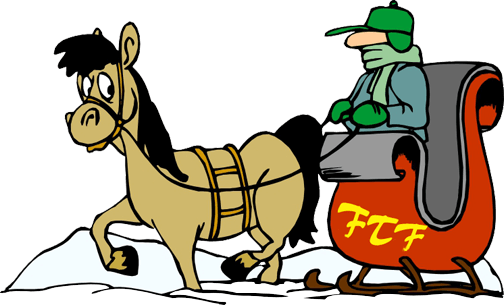 With our all-season service, Fallowfield Tree Farm you can choose either a sleigh ride or hay ride (depending on the time of year and weather). 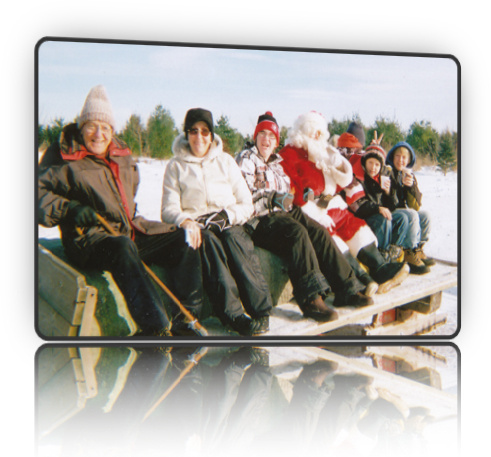 And if you’re budget conscious, consider our tractor-drawn sleigh ride or hay wagon ride option. Afterwards, you and yours can enjoy roasting marshmallows and warming up with hot chocolate around the bonfire. You can even take advantage of our rustic & reasonable party/event hall for your own, private, after-ride party or celebration. 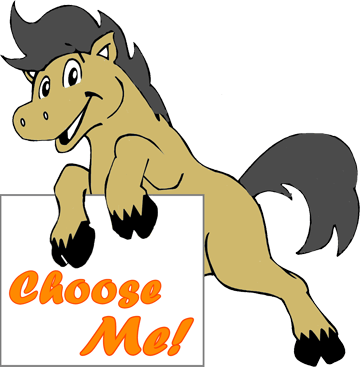 On the weekends – or by appointment – we can provide pony rides, farm animals for petting, tunnel slides (when there's enough snow on the ground), and a special bouncy castle nestled in the loft of the barn. 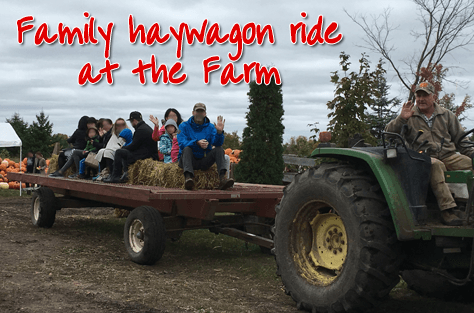 A great time for all is here for the taking… at Fallowfield Tree Farm! Thanks to you all for making today so much fun for the kids! They had an amazing time! I know it was incredibly short notice, and at one of the busiest times of the year, too… so I can’t say thank you enough for helping me save our party!!! You can bring your own snacks, or we can cater… bring your own music, or we can organize some for you. Enjoy an afternoon or evening of dancing, singing, snacking… and fun for all. If you're planning your event for October – you might consider including pick-your-own pumpkins as an activity. Kids love it! Planning it for December? You might consider including a choose-your-own Christmas trees activity. Everyone will love it.